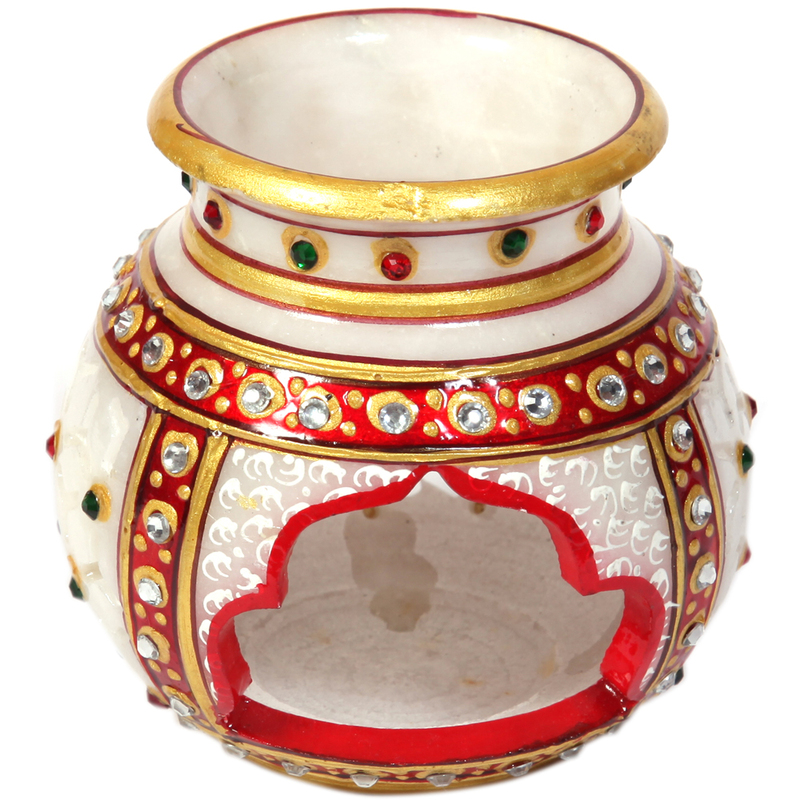 The Decorative Marble Multicolor Candle Pot is ideal for lighting up corner of the household during special occasions such as the Diwali, or during a Read More..power outage. 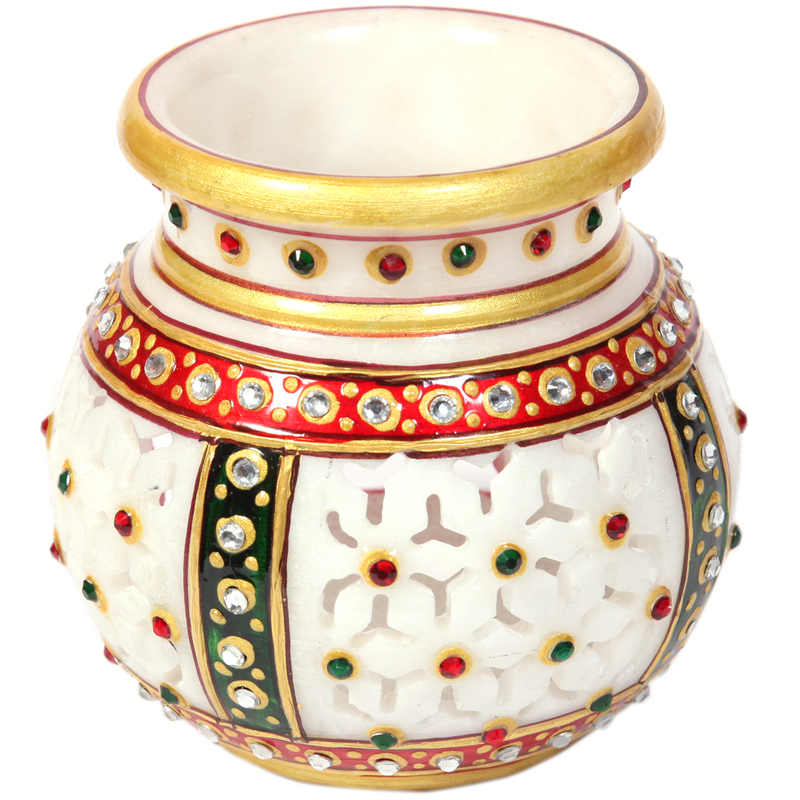 The intricately carved opening at the bottom of this candle pot complements the ethnic design work present on its marble body. Moreover, the stone studded patterns greatly accentuate its beauty along with the riot of lively colors to allure all its onlookers. This decorative candle pot is sure to find favor among all lovers of such items with great aesthetics. Show Less..